I am reviewing the HP LaserJet Pro M1536dnf monochrome laser multifunction printer which is another printer in this class that provides most of today’s expected features to the professional user. 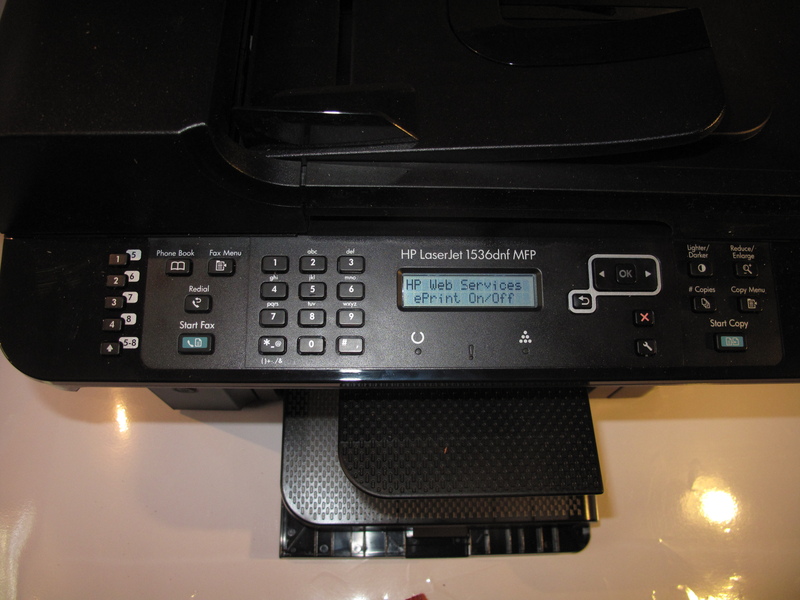 It is based on the print engine that HP has implemented in the LaserJet Pro P1560 direct-connect printer that I previously reviewed and the network-connectable duplex-capable LaserJet Pro P1600 printer. The HP ePrint “print-to-email” service is free of charge. This includes maintaining your printer’s email address and the documents that you receive through that address. The HP LaserJet Pro M1536 supports the functionality that is desirable for a multifunction laser printer targeted at the small business or professional, like duplex printing, proper fax functionality for regular fax services as well as connectivity to an Ethernet network. Typically the fact that a printer doesn’t support Wi-Fi wireless networking may count against it as far as network functionality, especially “no-new-wires” networking, goes for this market space. 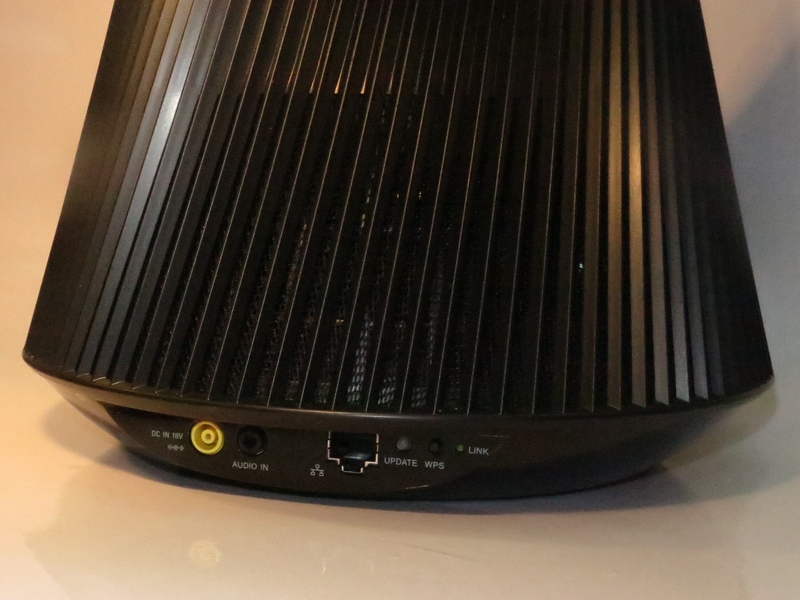 But the Ethernet connectivity allows this printer to work with a HomePlug network or Wi-Fi network as long as you use one of those “homeplugs” or a Wi-Fi client bridge. As well, the LaserJet, like most current-model small-business printers that connect to a network, is able to work with an IPv6 network, thus making it future-proof for next-generation networks. This printer was easy to set up without any need for convoluted procedures, which is an advantage of HP’s integrated cartridge design used in all of the small-business LaserJets. This included connecting it to a typical small network via Ethernet. There is the option to manually configure the network settings for difficult networks. The HP LaserJet M1536dnf can work as a convenience photocopier or a fax machine and, like most of the machines of this type, it supports “ID copy” functionality for copying documents like driving licences. As well it can digitally enlarge or reduce documents with this function being accessed from one button. Similarly, the user can do “double-sided” copying as long as they flip the original document over. Like the HP LaserJet Pro CM1415 that I previously reviewed, this LaserJet printer uses flash memory rather than RAM to store received and pending faxes. This provides for a “power-safe” operating environment where if the power fails or fluctuates, you don’t lose received faxes that are to be printed or faxes yet to be transmitted. It also works well with the private-receive function which uses this memory as a “fax vault” where the machine receives faxes but doesn’t print these faxes until you enter a PIN code to release them. This is a feature that I would consider important if you work with confidential material in a premises that has uncontrolled access to the office technology. Like most of the current-model HP multifunction printers and an increasing number of Canon high-end multifunction printers, this printer offers a “quick forms” feature where the printer can turn out notepaper, graph paper, music staves or similar ruled paper at the touch of a button. This is only available through the Setup menus You still have the problem of a limited choice of ruled paper. Examples of these limitations include 10 staves for portrait-format music paper (which affects writing for certain music ensembles like vocal and piano or quartets) as well as the inability to print certain “quick forms” like notepaper or checklists on both sides. This printer supports ePrint “email-to-print” functionality but only for receiving print jobs sent to its email address. This function could also benefit from the same “private receive” function that is available for faxes. The HP LaserJet M1536dnf’s driver software had loaded very quickly in to my machine and there weren’t any particular problems associated with running it. Even practices like choosing the duplex-printing style are made easier through a “bound-document” graphic which shows how the document will come out after it is printed. This HP LaserJet doesn’t support control-panel-initiated scan-to-computer functionality unlike most of its peers, so it didn’t need to run a scan monitor program. Other than that, the scanner is a colour unit that is able to do what is expected for this class of equipment. Of course, HP has provided scanning software that allows for “scan-to-PDF”, a function that Microsoft could provide within the Windows operating system. The display on this unit is a large backlit LCD display with easy-to-read text. Most of the walk-up functions are a button-press away and the text and icons on the control panel are easy to see. 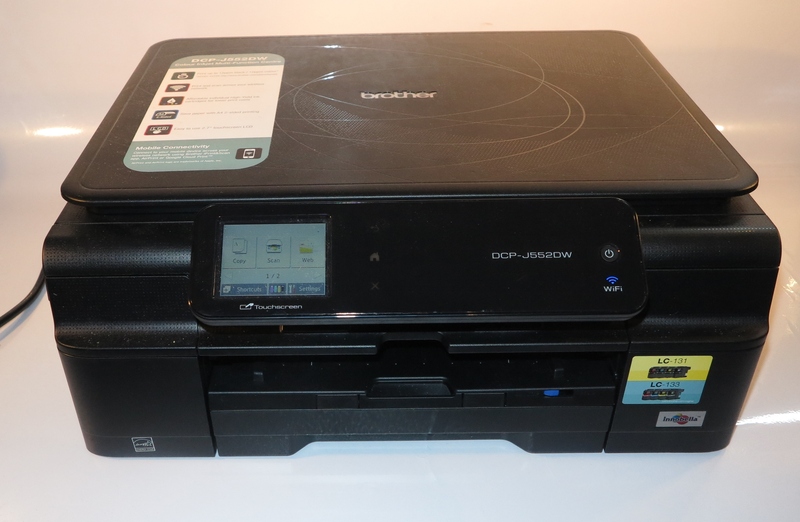 This laser printer, like the other HP LaserJet printers that I have reviewed, uses an integrated print-cartridge system which has the toner supply and drum unit in one user-replaceable cartridge. This makes it easier to replace the cartridges through the machine’s working life and there isn’t any need to think of having to replace a drum kit. The only limitation with this setup is that the printer isn’t as economical to run as a printer that has a separately-replaceable drum unit like the Brother laser printers. Here, the user just has to open two lids and pull out the used cartridge and drop in the new cartridge. There isn’t any need to push extra hard to make sure the cartridge is in place. Like a lot of these monochrome laser printers, there isn’t a way of knowing at a glance where you stand as far as your toner supply goes. Here, you have to go to the printer’s embedded Web server to check how much toner is left or print out a “Supplies Status” report to obtain this same data. There is a light on the printer’s control panel that comes on when you are really low on toner. 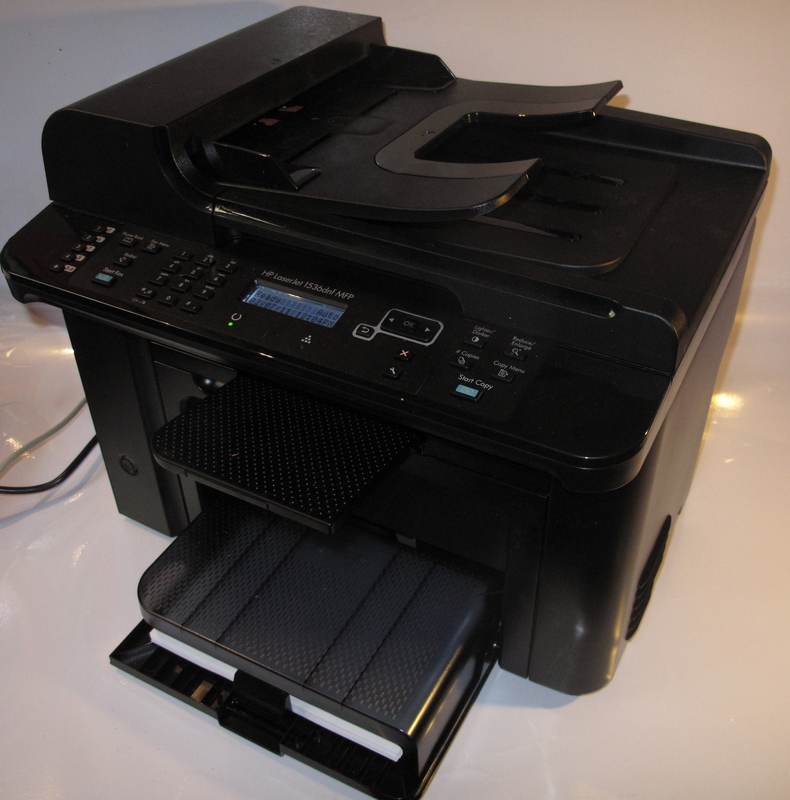 The documents had come out of the LaserJet M1536dnf with the typical crispness of a laser printer’s output. This is even so with output that has pictures and text. I had printed a photo through this printer and the picture doesn’t have a strong a contrast as the same picture printed on the previously-reviewed Brother mono laser printers. As far as print speed is concerned, the HP LaserJet was able to achieve the required speed for a monochrome laser printer. There is still the time penalty associated with duplex printing that is common with most printers that have this feature but this penalty is around twice as long as printing a single side. It is also worth noting that whether the printer has just been used recently or not, the first page of a job is out in 6 seconds with the print mechanism working at proper operating temperature. This printer, like the other HP LaserJets could benefit from the availability of optional extra-cost high-capacity print cartridges. This can allow for a business to use cheaper standard cartridges through normal times yet cater for peak printing times like larger projects. I would also like to see a “fuel-gauge” indicator on the LCD display that indicates how much toner is available in the print cartridge, so you can know whether you need to buy more toner after those large printing project. The fax subsystem could benefit from T.37 / T.38 standards-based Internet-driven faxing and a “scan-to-email” function in order to cater for IP-based telephony infrastructure. The ePrint email-to-print, which is an HP-driven concept, does provide some of this functionality but it could offer more. As well, the flash-memory that is used for the unit’s fax functionality could be used as the printer’s memory this allowing for improved fail-safe printing. 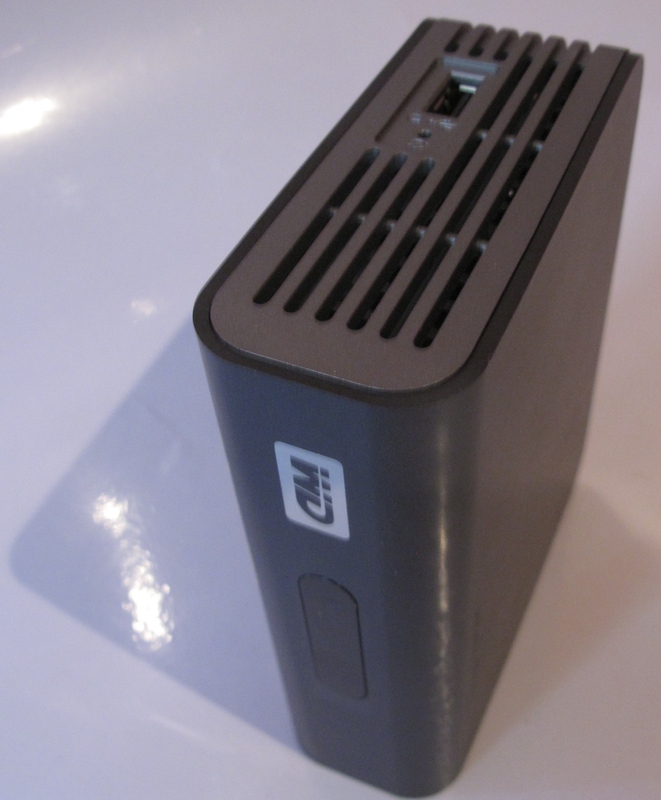 It can be augmented through the use of SD cards as a way of allowing the user to expand the printer’s memory as they see fit. The HP LaserJet M1536dnf is one of these laser printers that would fit in a very tight competitive market, a unit that would please the professional who needs to turn out many of the documents and reports as part of their business life. The only major problem for someone who wants these desireable features from an HP LaserJet multifunction laser printer is the price of the unit compared to that of competing models that print the same way offered by other manufacturers like Brother. 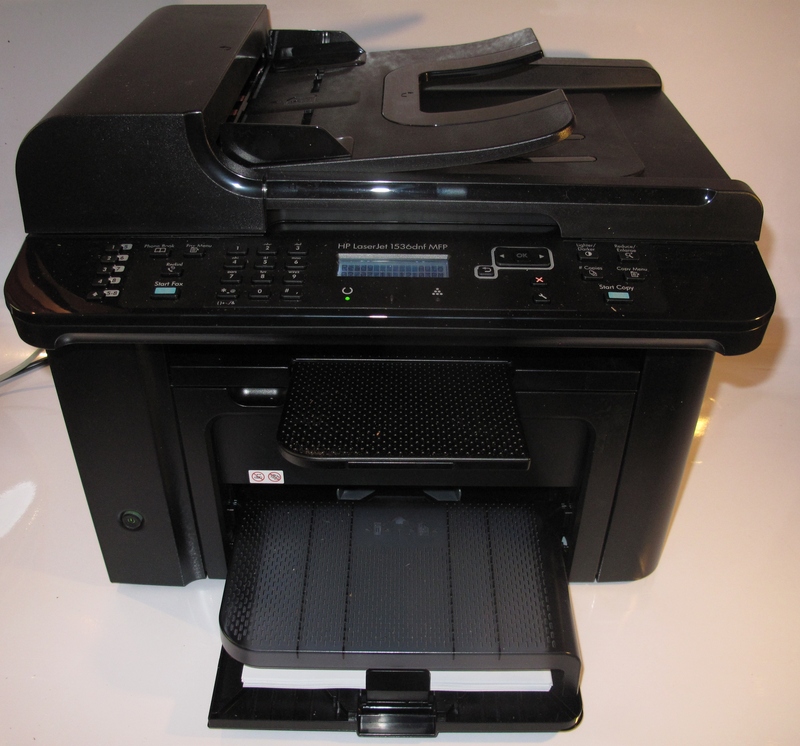 If a person places value on the HP ePrint service such as to print from smartphones; power-safe flash memory for faxes; a well-built machine or a simple-to-replace toner cartridge, they could go for this printer where as most other people could just opt for the Brother MFC-7460DN for their network-connected duplex-printing monochrome laser multifunction.